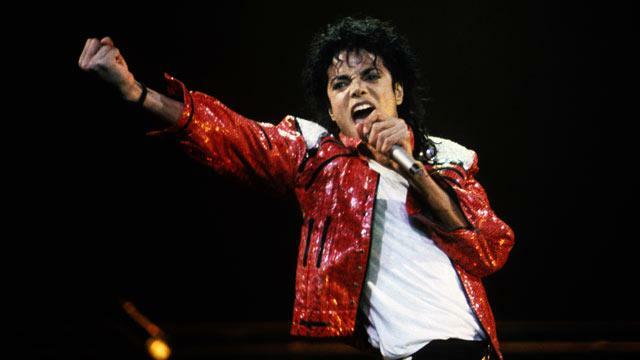 It's been three years since the world learned of Michael Jackson's death. In the time since, fans have learned just how troubled the singer was; his doctor was convicted for his untimely passing from an overdose of the anesthetic Propofol; and his children have lifted the veil on their lives since losing their father. Click through to read about seven things that have happened since the King of Pop died. Nearly seven months after he was sent to prison for involuntary manslaughter in the death of Michael Jackson, Dr. Conrad Murray remains defiant that he did nothing wrong. In his first interview since the verdict, Murray told E! News that he was framed after trying to wean Jackson off his dependence on Propofol. But a video Murray made in the days after Jackson's death that surfaced just today brings Murray's credibility into question. In the video Murray claims that he was only made aware through media reports after Jackson's death of the singer's "alleged addictions with medications." At his manslaughter trial, however, it was revealed that Murray knew well of Jackson's addictions and had tried to use drugs to ween the singer off Propofol. Murray, who is appealing his case, told E! his biggest regret from the trial was that he didn't testify. He has struggled behind bars, losing 30 to 40 pounds, but told E! he now reads about 10 hours a day and answers letters from supporters. The show goes on for the Jackson brothers, even without Michael. Five days before the third anniversary of Michael's death, four of his brothers -- Marlon, Jermaine, Tito and Jackie -- announced their Unity tour. The brothers had been staging a comeback before Michael died but needed some time to heal after his death. Now the brothers are talking about being on stage without their famous brother. "I've broken down several times and cried, because during the rehearsals I'm so used to Michael being on the right and then Marlon and then Jackie and on and on. And it's just something you'll never get used to," Jermaine told The Associated Press. "We wish he was here, but his presence will be here with us," Jackie told AP. Long before Michael Jackson's use of the anesthesia Propofol as a sleep aid became known, he wrote a desperate letter to his then wife Lisa Marie Presley lamenting his need for sleep. The letter, written in the singer's childlike scrawl, reads: "Lisa I truly need this rest I haven't slept litterally in 4 days now. I need to be away from phones and Business people. I must take care of my health first Im' [sic] crazy for you." It's signed, "love Turd," Jackson's apparent nickname. Written sometime between 1993 and 1996, the letter had been slated for auction and had been expected to fetch up to $1,200. But Presley reportedly complained to Julien's Auctions, the company selling it, and the letter was taken off the auction block. Despite their father's attempts to shield them from the public, Jackson's three children, Michael Joseph Jackson or Prince, 15, Paris, 14, and Prince Michael II or Blanket, 10, have not shied away from the media since their dad's death, making appearances at the Grammys and Jackson tributes. This morning, Paris Jackson paid tribute to her late father, tweeting, "RIP Michael Jackson .. Dad you will forever be in my heart <3 i love you." Last week, she tweeted a photo of the singer kissing her mother, nurse Debbie Rowe, who also gave birth to Paris' older brother. In an interview with Oprah Winfrey that aired June 10, Paris revealed that she was confused as a child about having to wear masks when she went out in public with her father but now realizes that it was so she and her brothers could have a "normal" childhood. "We had a normal childhood -- including trips to the children's arcade and restaurant Chuck E. Cheese's,' she told Winfrey. The house where Michael Jackson died has finally found a buyer, three years after the owner put it up for sale. According to TMZ, a Los Angeles businessman has made an offer of $17 million for the $23.9 million listing but buyer and seller are still negotiating. Since the singer's death, the house has been overrun with Jackson fans and tourists wanting a glimpse of the last place Jackson was alive. Other fans snapped up a piece of the pop star when his items went up for auction last December, netting nearly $1 million. For the past two years, Jackson has topped Forbes' list of highest-earning dead celebrities. According to Forbes, Jackson's estate earned $275 million in the year after his death, and another $170 million the following year. Not bad for someone who's net worth at death had been estimated at $50 million, according to documents obtained by TMZ. Since the King of Pop died, the music industry has lost legends Whitney Houston, Donna Summer and Robin Gibb. Houston's death from an overdose drew comparisons to Jackson's. The pair had once been good friends and nearly recorded a song together. Farrah Fawcett, who died on the same day as Jackson, was practically overshadowed by the singer, but not Jackson's good friend Elizabeth Taylor, who died less than a year later.